Before purchasing a road bike, attention should be given to a few recommendations. A road bike is made for riders of almost every age from child to senior. Why are you buying a bike? What size of bike fits you the best? First, let’s look at the reasons you may want a road bike. Road bikes can be used for touring, recreation, racing, and commuting. It is important to determine what you would be using the bike for. While there are many bikes that can perform well for these uses, most bikes are designed for specific riders. There is a general rule that the more money you spend the more your bike will meet your needs. 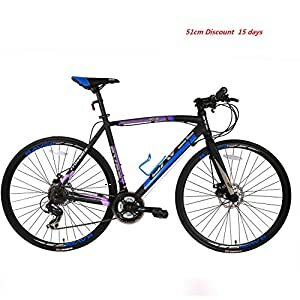 Road bikes range in price from a few hundred dollars to thousands. So, whatever bike you choose, it is important to determine how much you want to spend to get the perfect road bike for you. 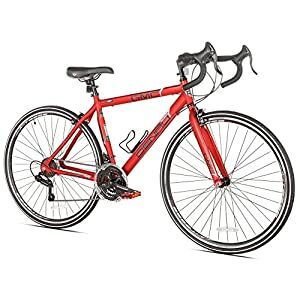 The Vilano Shadow 2.0 is a low-cost beginner road bike designed for exercise and fitness, club rides, and commuting. The bike comes with Shimano brake lever mounted shifters, a 6061 lightweight aluminium frame, and a mounted headset. One rider bought a Vilano Shadow 2.0 to return to biking after a 10-year hiatus. The rider used to have a Trek bike and was pleased with it. 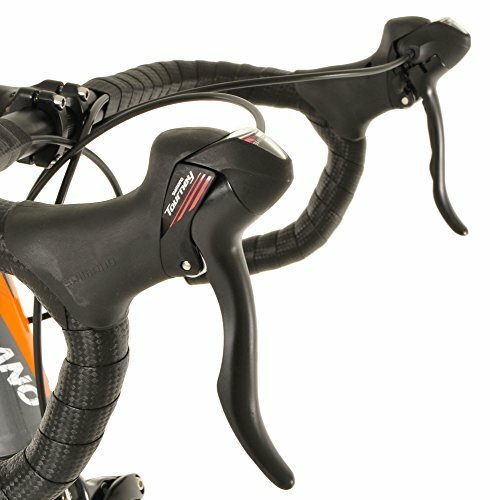 The Vilano Shadow 2.0 is an example of the old saying, “you get what you pay for.” With the bike out of the box, the seat tube was partially collapsed and the forks were bent a bit. This particular buyer also noticed a missing skewer spring. But he was able to assemble the bike with ease and proper placement of all components. 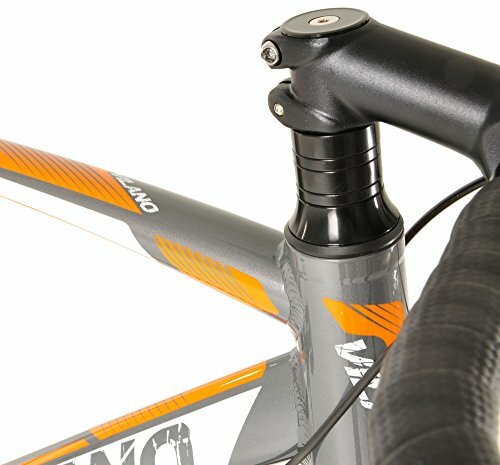 The Vilano 2.0 frame is aluminium 6061. 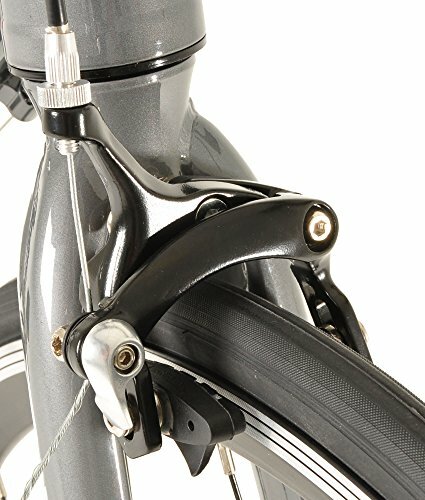 The front fork is made of steel. The shifters are workable and wheels were of good quality. This particular rider was 5 feet 7 inches tall and he purchased the 53 cm size bike. He felt a little stretched in his posture. This rider ended up buying a shorter stem to make the handlebars closer to his body. The one in stock was a 100 mm and had a 24 or 30-degree rise making it more difficult to work with. Depending on how it’s flipped, it’s either too far away or sticks up too high. The buyer decided to upgrade the handlebars and stem to a more up-to-date road bike standard. This helped a bit, but the new 420 mm handlebars had a shorter reach. Adjusting the seat position was also very difficult. To rectify this, he bought a quick release seat clamp which took care of the issue. Though the tires that come with the bike are good, this particular buyer chose to upgrade to Shimano callipers. 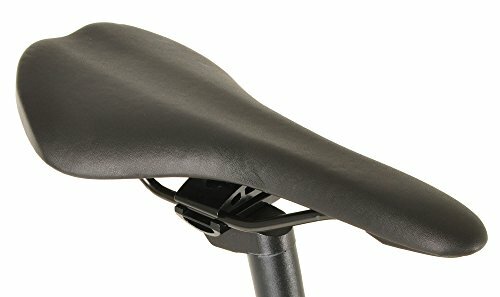 The seat was also too hard and needed to be replaced. All these adjustments and replacements required many extra hours and expense by the buyer and he felt he could have been better served by a more expensive bike by the time the bike met his goals. After a modest amount of use, the foot pedal stripped as it was probably not tightened enough. The decision was made to replace the entire crankset. The user described above obviously had a demanding set of standards for his sport of road riding. He thought little of the time, energy, and money he was spending to get the bike just right for him. However, if you’re a beginning or young rider, your demands are going to be much less than this proficient more experienced rider. 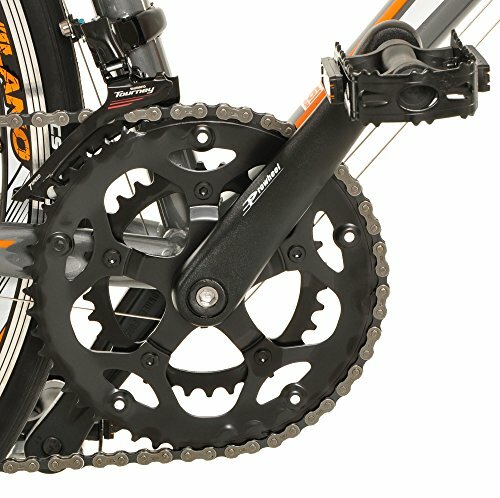 While a teenager may be able to adequately assemble the Vilano Shadow 2.0 on their own, it is recommended to take the bike in the box to a reputable bike shop for professional assembly and adjustment. The cost is nominal and small compared with the time and frustration involved in quality assembly and performance of any new road bicycle. 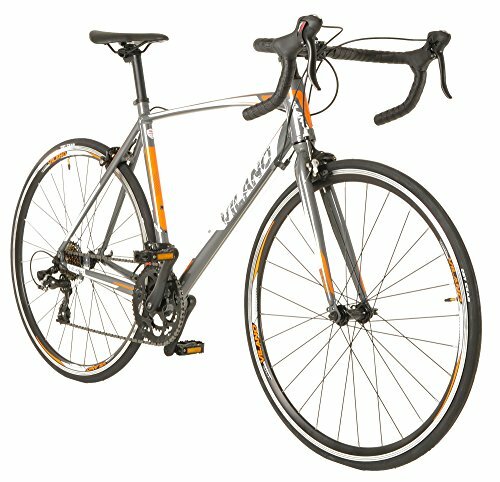 The Vilano Shadow 2.0 road bike is made with a durable and light 6061 aluminium frame. This makes the bike very sturdy and lightweight to stand the test of time and uses. Other road bikes may have heavier more dense frames and be more difficult to ride. The Vilano Shadow 2.0 has a lightweight frame that is very durable and dependable. The Vilano Shadow 2.0 also has an embedded headset. Aluminum frames are standard for most road bikes made today because of superior performance. Aluminum is the frame component of most medium range bicycles, including this one. The Vilano Shadow 2.0 bike can allow you to achieve all your fitness goals in a shorter time than other fitness activities. This is because of its durable design and superior performance. 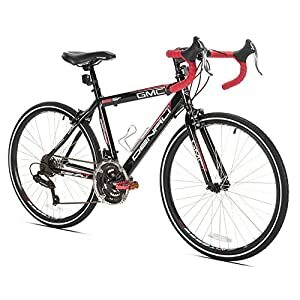 It is the perfect road bike for club rides and commuting. It is also a good pick for short and long distance activities and recreation. 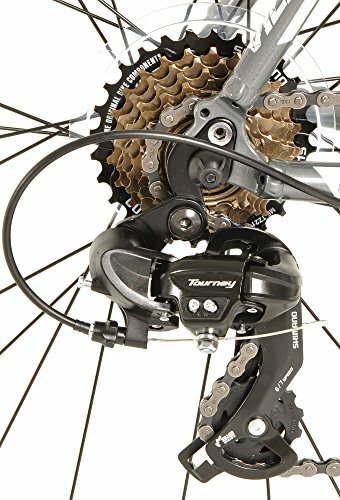 The Vilano Shadow 2.0 is equipped with front and rear Shimano derailleurs with 14 different speeds.